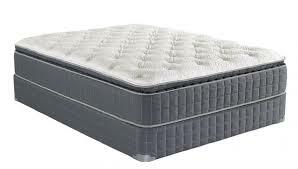 The Kinley Plush Mattress by Corsicana, is a mattress with luxurious comfort at a practical price. Using the basic innerspring technology and inserting added layers of foam creates a “cloud-like feel” and quality support. The Kinley Plush would be most suited for a person who prefers to sleep on their back or on their side. This product is available in twin, twinXL, full/standard, queen and king sizes. The Kinley Plush comes with a 10 year full warranty.